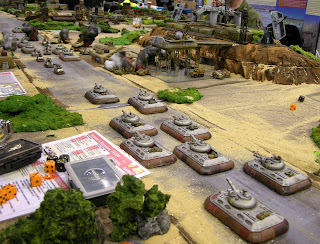 I spent yesterday dashing madly around Salute, abut only managed to get a few snaps of games that "grabbed me", and often didn't record the groups that produced them. I'm afraid it is a selective and incomplete list, but here goes! The above game is Wargames Soldiers and Strategy's Wrath of Heaven, where I helped out for an hour. 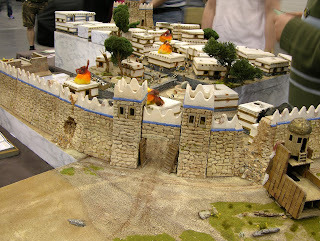 The terrain was beautifully detailed, and the minis delightful, mostly painted by one of the WSS staffers (Christine?). Mark who ran it was a natural GM, and the kids who played had a lot of fun. Even the one whose ninja he cruelly slaughtered. ;-) I very much enjoyed hanging out with the WSS crowd, including Guy and Jasper. The above Siege of New Victoria game, set on Mars, was an absolute corker; half a dozen airshps battled above the fortress. Oshiro model terrain did the terrain, and I believe Red Planet Miniatures the models. 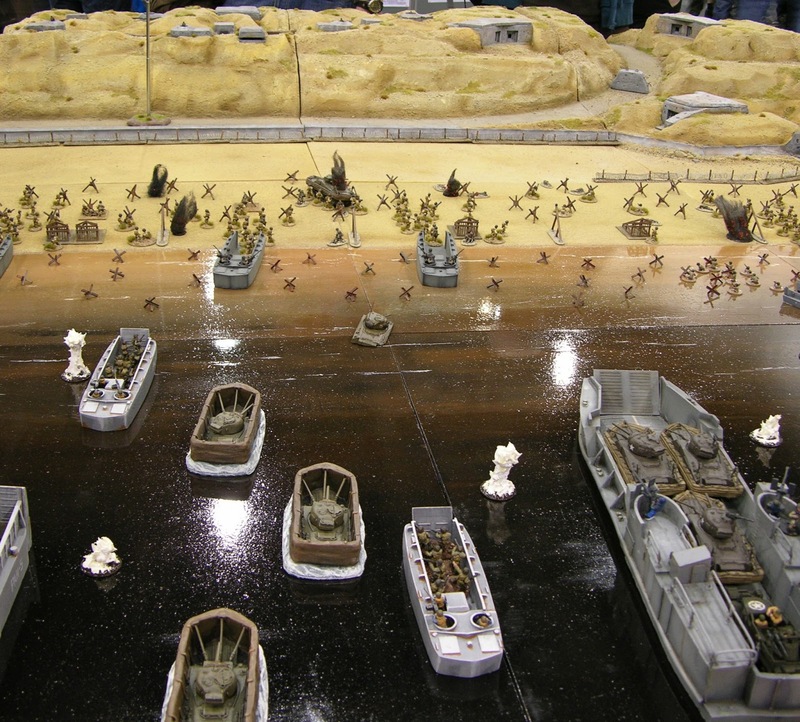 The above "30 Seconds to Dog Green" Battlegroup Overlord, game was absolutely stunning, especially the cliffs, beach and bunkers. 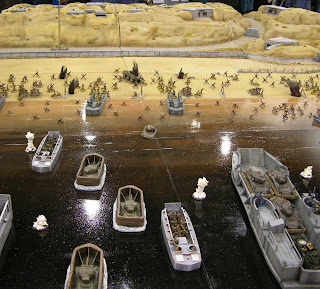 This 28mm Normandy game was called "Inland from Utah". I was very taken with the column of obsolescent German (ex-French) armour. 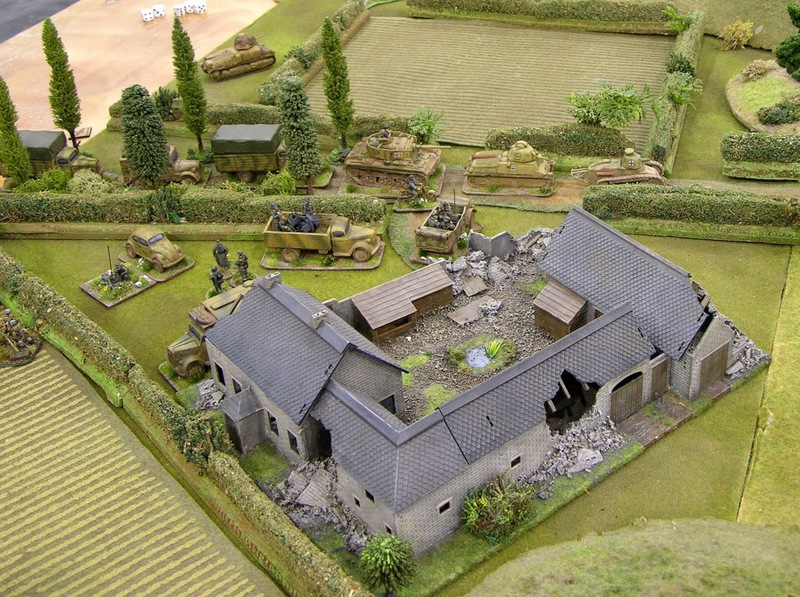 I didn't recognise the Airfix Le Haye Saint until tonight! Talking of armoured columns... the South London Warlord's Slammers game was a stunner. 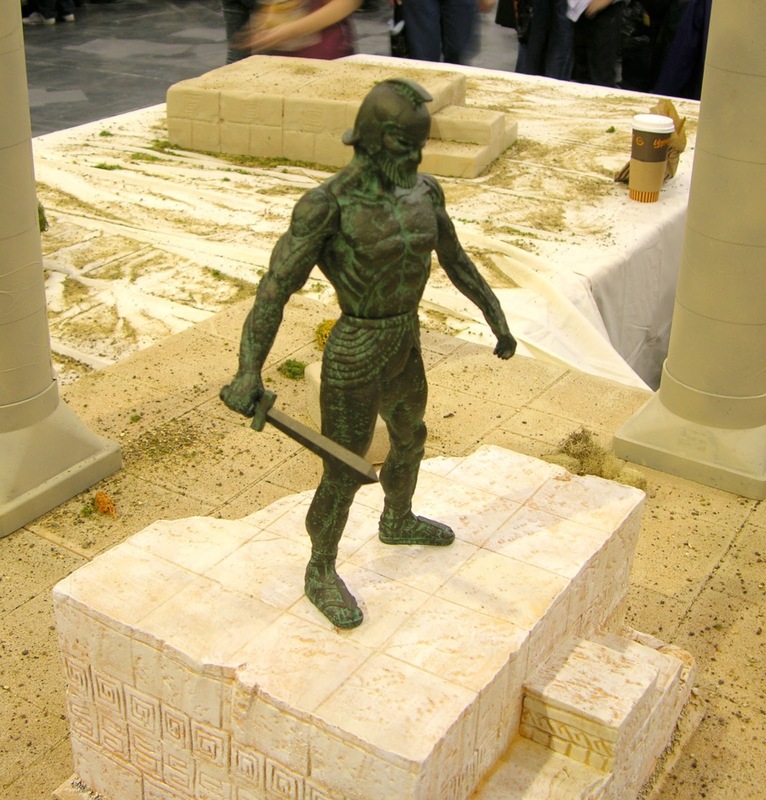 The buildings were incredibly detailed, a labour of love. 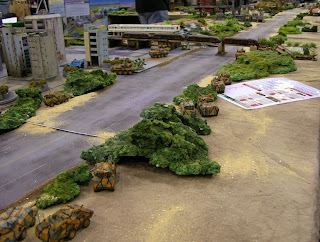 The table was about a mile long! These guys seemed to be lurking in ambush. 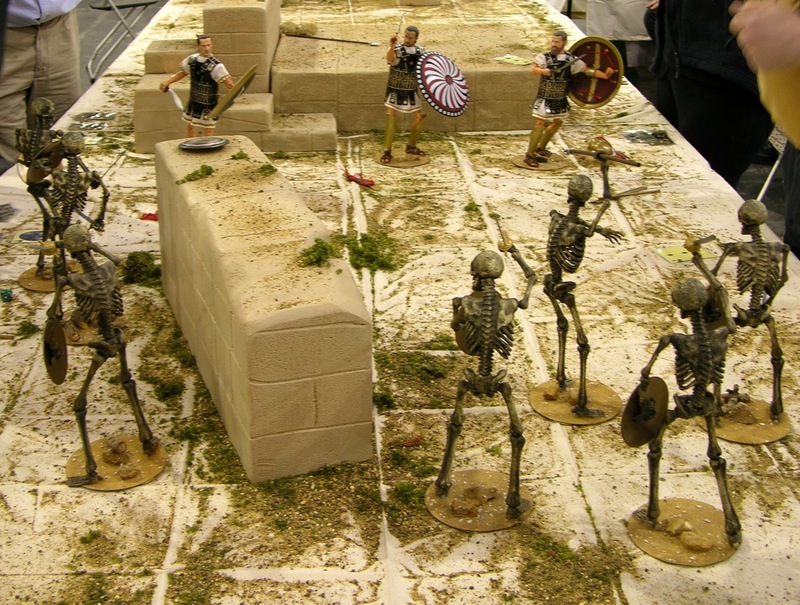 The other Warlords game was all Harryhausen, in 1/12 scale, such a brilliant idea. The skeletons were scary... and I was worried what the Talos might get up to. Above is a lovely Troy, Aeneas and family were busy escaping from it. 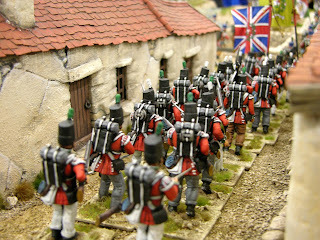 Run by the Tin Soldiers of Antwerp. I spent a very happy 20 minutes discussing the Austro-Prussian war of 1866, with a chap at this table. 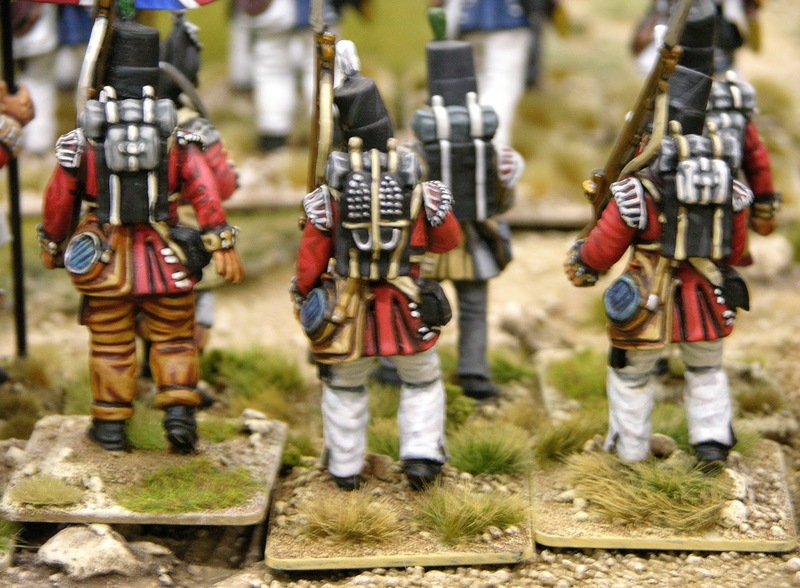 Very nice 10mm Pendragon miniatures, and plenty of them. Above and below is the 54mm Victrix game. 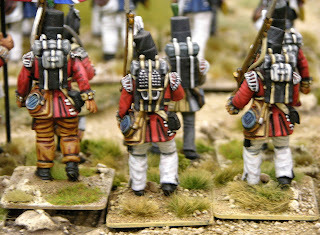 The detail on the minis was astonishing, I was very taken with the hobnails on the boots (below). Last but not least, the Dux Bellorum games run by Guitarhero Andy, James Morris and Steve (Jones?). The games looked great, we had a nice chat and I gather that they deservedly won an award. 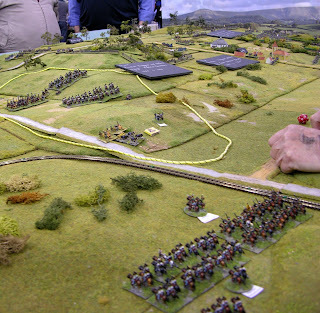 I forgot to take pictures of the huge, and stunning, Waterloo game. I didn't manage to meet half of the people I wanted to, and have probably forgotten half of those I did meet. 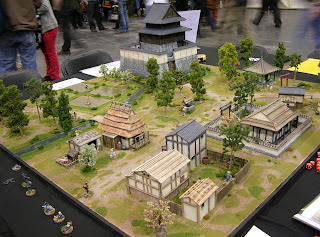 However I did meet a whole "list" of gaming bloggers, including Big Lee, Postie, The Angry Lurker, Tamsin, Sebastien and Stephen of the Legatus blogs. 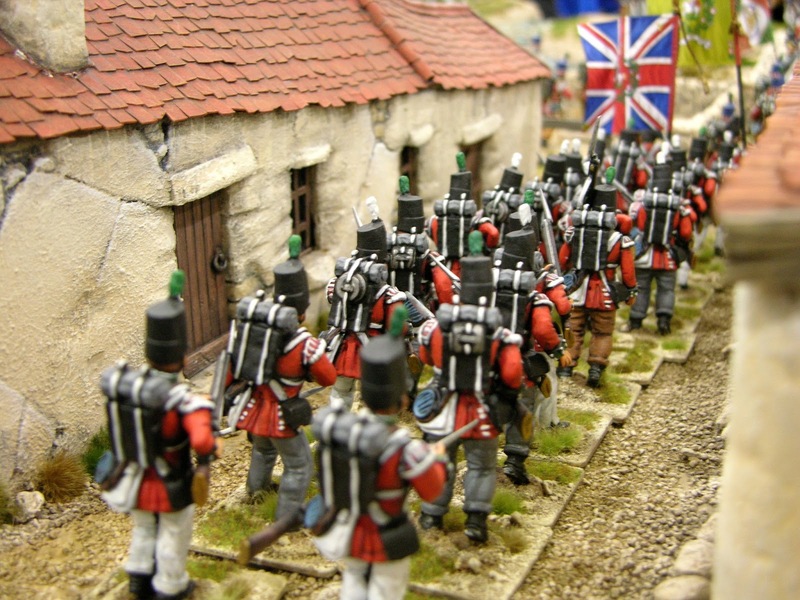 I also met various Lardies, my mate Nick Speller who gave me some newly painted toys (of which more anon), Simon Comitatus MacDowall, and an old friend, Craig Cartmell, who wrote "In Her Majesties Name", which last demo looked superb, but which I also failed to photograph. Apologies if I also met you and have forgotten to mention it! It was a very enjoyable day. It seemed very busy, compared to last year, but not unduly crowded. On the whole I felt that there were fewer impressive demo games, but it didn't seem to matter, as much fun was had by all! I'm very glad that I went, after all. Nice pics and great to meet you at the blogger meet up. Ray! There's one bloody name I missed. Was very nice to meet you! Lovely pics, Simon. Those pulp adventure airships are gorgeous! Thanks for posting. Great report... I loved the Martian Skyships too! It was great to finally meet you at the show. I spent a large part of the day just talking to people (many complete strangers!) and bumping into fellow bloggers. Thanks chaps- was great meeting, Lee! I met a lot of people, too, one of my most enjoyable Salutes. I'll keep an eye on this blog now I know where you are. Really like the fact that you showed some game, that seem to be absent from every other report I have seen!